Just remote the device camera of your phone by press a button.It can take awesome wide angle selfies from your front or rear facing cameras. Works as a remote shutter for self-portrait, capture the happiest moment easily. 【SMART & EASY TO SET UP】--- Bluetooth Connection Remote Control Function Make It Easy To Operate Using App. This Intelligent Search Function in key finder locator tracker Can Also Be Selfie Shutter. 【MULTIFUNCTION】--- Anti-lost Alarm, Potect Your Valuables, Kids, Pets From Losting. The key finder locator tracker Can Also Provide A Last Seen Pin-Drop On Map Via APP To Help Recover Your Items And Search Cars In Parking Site. 【REMOTE CONTROL】---You can remote control the device camera or voice recording of your phone by press a button.It can take awesome wide angle selfies from your front or rear facing cameras. Works as a remote shutter for self-portrait, capture the happiest moment easily. 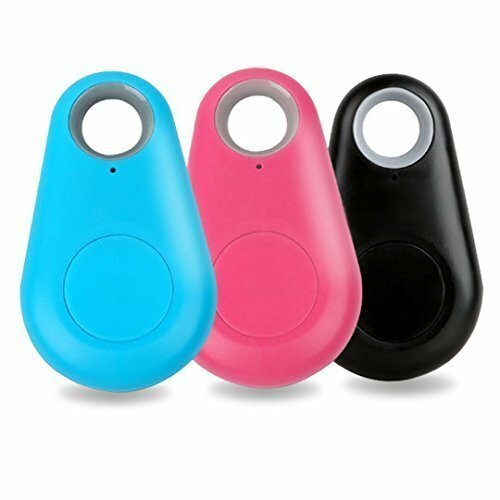 ■ALARM FUNCTION▶Bluetooth 4.0 connection lets you sound an alarm whenever your phone and the tracker are separated - great for kids, luggage, pets, and more! Operates using cTracing App via iOS or Android Smartphone. If you have any questions about this product by Themoemoe, contact us by completing and submitting the form below. If you are looking for a specif part number, please include it with your message.